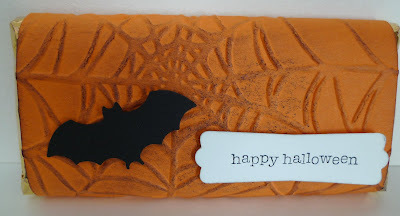 Karina's Kreations: Quick Halloween Treats! This is a quick and easy Halloween treat. All you need is the Spider Web Textured Impressions Folder and a Caramilk bar. The hardest part of this treat is not eating it!! !